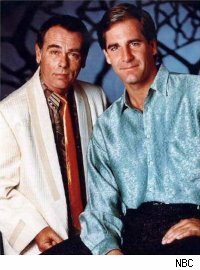 With news that production of a Quantum Leap (QL) movie may at last be getting serious consideration, fans of the show are expressing ardent support for Scott Bakula and Dean Stockwell to reprise their respective roles as Sam and Al in a film that gives them significant screen time. Scott Bakula mentioned the proposed movie to standing-room-only crowds during QL panels this summer at ComicCon in San Diego and DragonCon in Atlanta. Attendees at both panels cheered the movie, but voiced clear discontent when Bakula revealed that he and Stockwell were likely to have only cameo roles and would not portray their iconic characters in the film. Fans are mounting a Facebook campaign and have started an on-line petition to press the writer, prospective studio, and yet-to-be-named producer of the movie to feature Bakula and Stockwell as the much-loved characters they originated on television. The campaign, comprised of long-time Leapers who kept the show alive during its broadcast TV run, and new enthusiasts attracted to the show during its numerous syndication cycles, aims to bring about the kind of film all QL fans want and deserve.